Enhancing lives today. Accelerating a spectrum of solutions for tomorrow. Autism Speaks is dedicated to promoting solutions, across the spectrum and throughout the life span, for the needs of individuals with autism and their families. We do this through advocacy and support, increasing understanding and acceptance of people with autism spectrum disorder, and advancing research into causes and better interventions for autism spectrum disorder and related conditions. Being a catalyst for research. Increasing early-childhood screenings and timely interventions. Improving the transition to adulthood. Ensuring access to reliable information and services at every stage of life. Now is the time to make a difference for the millions of people with autism worldwide. Autism Speaks was founded in February 2005 by Bob and Suzanne Wright, grandparents of a child with autism. Recognizing the need for a powerful voice, Bernie Marcus donated $25 million to help launch the organization. 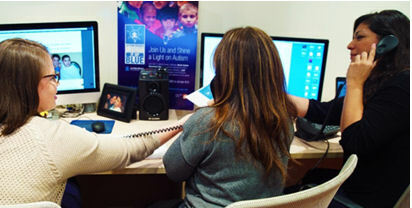 Autism Speaks has built on the legacy of three leading autism organizations that merged with it: Autism Coalition for Research and Education (ACRE), the National Alliance for Autism Research (NAAR) and Cure Autism Now (CAN). It has made extraordinary advancements in the autism community. Chief among these are increased global awareness of autism, better understanding of the breadth of the autism spectrum, and advocacy to increase research and access to care and support. Advancing research into causes and better treatments for autism spectrum disorders and related conditions, both through direct funding and collaboration. Increasing understanding and acceptance of autism spectrum disorders. Finding solutions for the needs of individuals with autism and their families across the spectrum and life span, through advocacy and support. Our goals can only be achieved by working in communities nationwide, at the federal level and globally, by working with partners, governments and other organizations. We will work in partnership with those who share our goals, ambitions and values. It will require an inclusive approach that values diversity and individual needs. 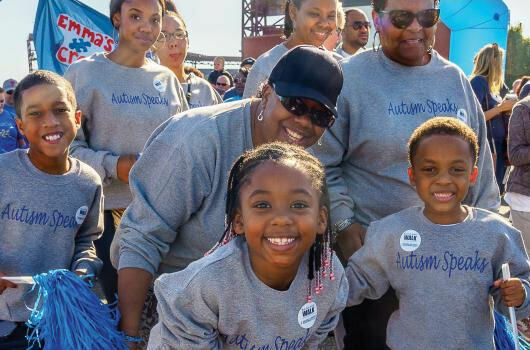 It's clear that Autism Speaks’ mission requires us to grow in new ways and build our capacity to accelerate progress in science as well as support individuals with autism and their families over a lifetime. This will require an investment in people, infrastructure and process in order to operate as a best-in-class nonprofit organization. Autism Speaks is committed to supporting people with autism and deliver solutions and supports to help people both today and in the future, across the spectrum and life span. Every individual with autism is unique. Many of those on the autism spectrum have exceptional abilities in visual skills, music and academics. About 40 percent have average to above-average intellectual abilities. However, others have significant disability and are unable to live independently. About one-third of people with ASD are nonverbal, but some can learn to communicate using other means. Approximately 50 percent of children with autism attempt to wander or bolt from a safe, supervised place, and for a significant number of people, this continues into adulthood. For a subset of those with autism, aggressive and in some cases self-injurious behaviors occur, impeding independence and community life. Our understanding of autism has come very far over the years, as have behavioral therapies and medical care for those affected by autism. Thanks to the generosity of our donors, Autism Speaks has played a pivotal role in this progress. We funded the research that helped push our ability to diagnose autism below age 3. We also supported the first clinical trial to show that early behavioral intervention not only improves social skills and communication, it also improves brain development in ways that can optimize long-term outcomes. issues include GI problems, sleep disturbances and seizures, to name just a few. This pioneering work has firmly established that autism is more than a behavioral issue. For many, it is a whole-body medical condition. Our Autism Treatment Network has also taken the lead in establishing the standard of care to guide physicians nationwide in their care of children who have autism. More than 75 percent of every dollar Autism Speaks spends funds programs and services in science, family services, advocacy, and increasing understanding and acceptance, exceeding Better Business Bureau guidelines each year. The majority of this funding goes toward science, followed by our family services, awareness and advocacy efforts. As we continue to implement our new strategic plan, we are working toward increasing funding in every mission area so that a significant impact is made for everyone affected by autism. Autism affects one of every 59 children in the U.S.
Our research helped show that early intervention improves social skills and brain development. Many with autism have exceptional abilities.